The overall design: Provided by the customer. If you have no design drawing, you can tell us your specific requirements and ideas, we will make the design to you for free. Material: Brushed stainless steel, Mirror stainless steel, Metal painted, acrylic. Different process, material differs character. Different production process, different material. Size: Customized. Please tell us the height of the letters. If you are not sure about the size, please tell us the length and width of your actual installation area, we will work out the best size according to your installation area. 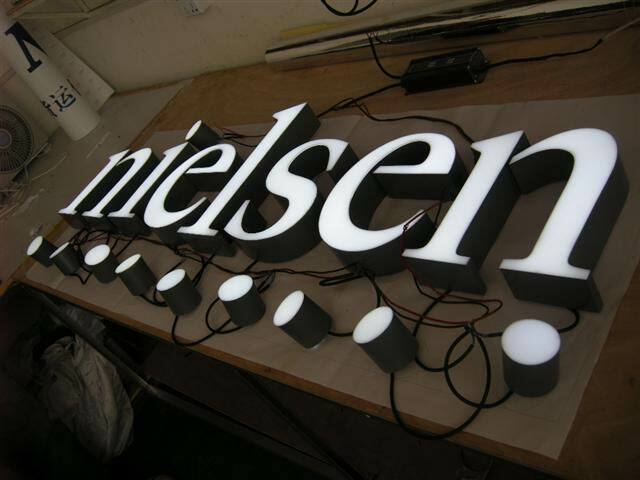 Production Process: This is front light letters. Specific process can determined by customer requirements.